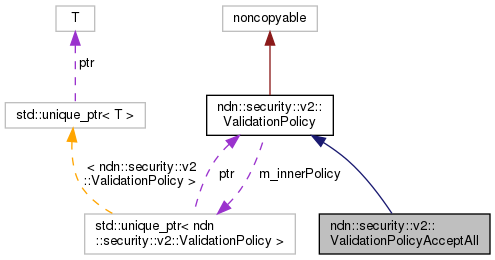 A validator policy that accepts any signature of data and interest packets. Definition at line 34 of file validation-policy-accept-all.hpp. Check data against the policy. Depending on implementation of the policy, this check can be done synchronously or asynchronously. 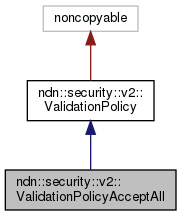 If packet violates policy, the policy should call state->fail with appropriate error code and error description. Definition at line 38 of file validation-policy-accept-all.hpp. Check interest against the policy. Definition at line 45 of file validation-policy-accept-all.hpp.